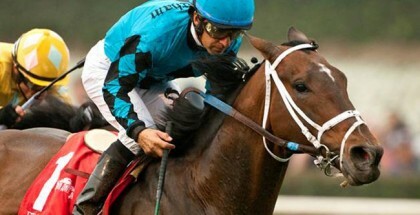 Southwest Stakes 2015; Team Picks & Plays: Southwest Stakes 2015; Team Picks & Plays: While the Southwest hasn’t produced a Kentucky Derby winner since 2004, it has acted as a steppingstone for many fantastic horses. Lawyer Ron won the race in 2006 before moving on to win the Arkansas Derby, Oaklawn Handicap, Whitney Handicap, and Woodward Handicap, the latter three coming at age four and earning him the title of 2007 Older Male Champion. Southwest victor Denis of Cork managed to finish third in the 2008 Kentucky Derby behind Big Brown and the ill-fated Eight Belles, and most recently, 2012 winner Secret Circle went on to win the 2013 Breeders’ Cup Sprint. Overall, the Southwest has been an integral race for colts transitioning from age two to three. This year, the race is run on Monday, February 16, and is worth 10-4-2-1 points to the top four finishers toward a possible start in the 2015 Kentucky Derby. The Southwest is the last 1-1/16-mile prep race for these colts, thus forcing them to move on to tougher tasks and higher expectations. Our expert handicappers Reinier and Casey have examined the race and each individual entrant to help potential bettors. Enjoy, good luck, and happy handicapping! Casey Laughter – Coming off a maiden score going 8-1/2 furlongs on the dirt, he won impressively, pulling away from the second horse to win by 8½ lengths. With a pedigree that can handle the distance and carry his speed, he may be battling Mr. Z for the lead. Reinier Macatangay – There is no doubt that this Todd Pletcher trainee looks good on paper as his win came at Gulfstream Park, which usually offers the best racing in the spring. Pressure from Mr. Z is a concern though – that is, until he drifts out on the final turn. Bayerd and Kantune might also challenge early. Casey Laughter – Closing from off the pace last time out in the Smarty Jones Stakes, Far Right will be looking for his third win in what will be eight starts. I am not yet sold on him even though I think more ground will benefit him, but he is a major player here for sure. Reinier Macatangay – A pace setup and switch to Hall of Fame rider Mike Smith helped this one in the Smarty Jones. While he won, I’m not sure if I’m completely sold that he’s that much better either since Mr. Z’s antics helped clear the way for victory. I think he’s an underneath player this time. Casey Laughter – In his three wins, Private Prospect has stayed relatively close to the pace, either pressing or stalking. While this could prove to be highly effective in his racing career, I don’t see this one wanting this much ground. He may be able to hang on for some sort of prize, but I don’t see it being the win. Reinier Macatangay– Not only did he stalk in the Smarty Jones, he should have had first run of a swift 46-second half-mile. Instead, Private Prospect just ran evenly without making any real threat. As Casey noted, consider using him underneath in the third and fourth slots if using this horse at all in wagers. Casey Laughter – In terms of pedigree, this one could certainly be overlooked since his breeding looks to be purely sprinter-oriented. He has never been worse than third in six career starts and was second in the Smarty Jones last time out. He is a contender here, but I am skeptical of his ability to stretch out. Reinier Macatangay – Without researching the dam further, Bayerd’s pedigree is filled with sprint influences. Speightstown and Cherokee Run were both sprinters. The consistent record seems admirable, although no real excuse exists for why Far Right out-kicked him in the Smarty Jones. I don’t think he’s a horse to be trusted. Casey Laughter – With only a maiden win in seven starts to his credit, I am not sure this colt sits at the level of others in the field. While he was third in the Champagne and the Nashua, that doesn’t speak against him since the horses that beat him haven’t proven anything outside of multiple winner El Kabeir. He likes to run mid-pack, so that could come in handy here, but I’d pass on him winning this one. Reinier Macatangay – In polite terms, maybe Casey means the connections have Derby fever! However, his maiden win after switching to dirt and jockey Joel Rosario was decent. Upon further inspection, the second-place finisher Aldrin failed to break his maiden afterward. It’s possible, though, that the winter break helped The Truth or Else mature, and the use of Lasix adds some intrigue. Casey Laughter – Finally breaking his maiden in his last start, which was also his seventh start, I highly doubt this one can step it up enough to win against a full, more talented field. He likes to be on the lead or pressing it. I see him helping Mr. Z, J S Bach, and possibly Bayerd in their fight for the lead, setting it up for a late runner. I’ll pass on this one. Reinier Macatangay – Like Casey notes, this one took seven tries to break his maiden. In all likelihood, the win resulted from switching to Oaklawn Park where the everyday races are a little easier than Santa Anita’s equivalent races. If he tries to steal the race, J S Bach and Mr. Z will make him pay. I’ll also pass. Casey Laughter – In his sole victory, he was on the lead and was not run down. In his last start, which came in an AOC at Oaklawn, he closed for second. With no clear, successful running style, knowing which horse will show up is impossible. Pedigree-wise, he’s bred for the distance, but he doesn’t look like a safe bet to me. Reinier Macatangay – Perhaps the connections are going the Mine That Bird route by turning a speed horse into a late closer. In any case, his form does not seem that phenomenal, but with a late-developing sire, improvement is possible. Blinkers come on, and the colt that beat him last time is an expensive sibling to Kid Kate. Consider placing him underneath if using this one at all. Casey Laughter – With his only win coming at Keeneland on the turf, this son of Majesticperfection doesn’t look to be a huge threat here. Last time out he finished fifth going the same distance on the Oaklawn dirt. While he was five- or six-wide the entire trip, he was never a factor in the race. Could it have been his trip? Reinier Macatangay – D. Wayne Lukas has an odd habit of making turf horses run on dirt (ex. Optimizer). Maybe the wide trip cost him. Regardless, no excuse exists for the terrible effort in the Kentucky Jockey Club. Then again, few remember Will Take Charge once finished 13th in the 2012 KJC and won the three-year-old 2013 Eclipse. Casey Laughter – Never worse than third in four career starts, this classy son of Curlin comes back after a layoff. He was last seen finishing third in the G1 Breeders’ Futurity behind Mr. Z and Carpe Diem, two high-class colts. This one has been bred for this distance and then some. Even though he’s coming off of a layoff, I believe he is a huge contender here. Reinier Macatangay – This is a tough colt to handicap because of his layoff since October. Maturity might help, but who can know for sure? The pedigree looks right, as Casey points out, and bullets are on the work-tab. In fact, for Steve Asmussen, seeing more than one bullet since the last race is noteworthy. He’s definitely a contender. Casey Laughter – With only one off-the-board finish in nine career starts, Mr. Z only owns one win: his maiden. Seemingly suffering from second-itis, this Malibu Moon colt looks to be the second Zayat horse to try to make the Kentucky Derby. You can’t count on him winning, but expect him to show up. Reinier Macatangay – This consistent colt possesses talent, although his behavior in the stretch is unpredictable. Hey, nothing wrong with owning a top level horse with second-itis from an owner’s standpoint! A horse like this pays the bills. However, bettors may want to limit Mr. Z to second or lower while hoping the lugging out problem is fixed. Casey Laughter – Bred to be a distance specialist, this one is coming in off a win in a claiming race at Tampa Bay. He has three wins in five starts but has never won against any credible competition. While the colt obviously has talent, winning more than 50% of his starts, I don’t see him making it 4-for-6. I’ll pass. Reinier Macatangay – I agree that he has a nice pedigree for distance. However, class is a question as current form trumps pedigree. He switches barns to a trainer who is 0 for 13 at the current meet, and the previous owner offered him for a tag twice. His chances seem bleak here, especially with the widest post assignment. Casey’s Opinions: I really have no reason to doubt one of my top Derby horses, Bold Conquest. No one was beating Carpe Diem in the Breeders’ Futurity (G1), and resting after, skipping the Breeders’ Cup in the meantime, has likely done him a world of good during the transition between two and three. Mr. Z usually shows up but is never a winner, so counting him out of exactas and exotic bets would likely be a mistake. However, with as a much speed as there is in this race, Mr. Z may have a duel on his hands if he runs in his previous form. Far Right won the one-mile Smarty Jones easily and seemed to like the Oaklawn surface. With multiple speed horses here, this race may set up just perfectly for this colt. He may even be the one to beat in here, but I am not sure about him just yet. Phenomenal Phoenix is bred to be both fast and long-winded. 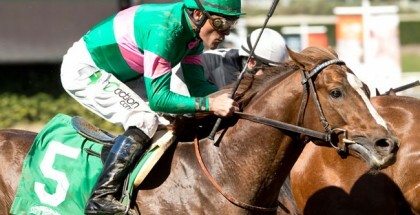 His sire was the winner of the Belmont and Travers before finishing behind Zenyatta in the 2009 Breeders’ Cup Classic. I am not sure about this one’s preferred running style, and I am honestly just going on pedigree alone. I really like his breeding. Reinier’s Opinions: With some concerns about the pace, J S Bach takes the top spot here. Yes, he needs to relax a bit if a speed duel occurs, but Pletcher’s go-to rider John Velazquez would not make the trip if the talent were not there. Mr. Z should run his usual quirky race for second. As bad as the the last race seemed, he withstands a fast pace in most cases, an ability only good horses display. Far Right, as a closer, should come late for third. The experienced Mike Smith tends to move horses up a notch, and enough pace exists to expect some kind of run. Bold Conquest’s worktab just stands out, as trainers not known to work their horses in fast times tend to tip their hand with bullets. His previous two-year-old form indicates he stalks from midpack, which might end up as a nice spot behind the front-runners for this race. Let’s see how the break helped him. He seems like one of those horses bettors cannot ignore nor trust alone. The 2015 GIII Southwest Stakes is the ninth race of the day at Oaklawn Park on Monday, February 16, with an approximate post time of 5:09 p.m. Central Time. The 2015 GIII Southwest Stakes is the 9th race of the day at Oaklawn Park on Monday, February 16 with an approximate post time of 5:09 PM CT.